Since the spring of 1995, we at The Cabinet Studio (Canada) Inc. have been creating well thought out kitchens with an accent on comfort, functionality and individual style. Specializing in kitchen design we love fulfilling our clients’ dreams, making them happy and proud of the home they live in. 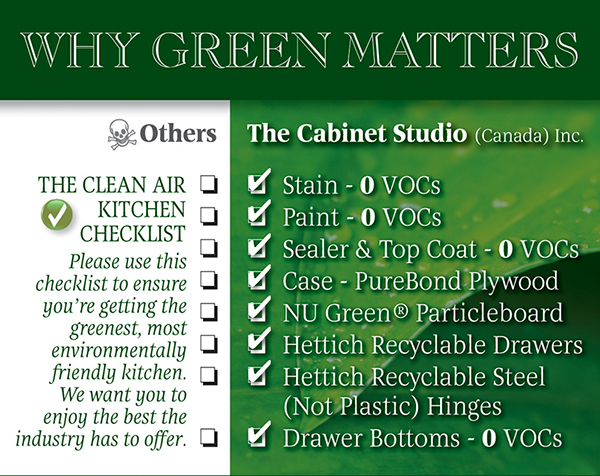 We are proud to offer Green Cabinets as an option for your home renovation or new build project, so as not to jeopardize your indoor air quality. We have formed special relationships with our reliable suppliers, talented carpenters, associates and our wonderful clients. Our strong emphasis on customer satisfaction is the reason why our loyal clientele proudly refers us to their friends and family. Every great kitchen begins with a great design. Taking the time in this stage is vital to getting the most out of your space so you save time when cooking and cleaning up while still maximizing your storage and functionality. Whether building a new home or renovating your existing kitchen, start by hiring us to design a kitchen that will work for you and that you will love to live and entertain in for years to come. We love using Cambria Quartz Countertops for our client’s kitchens. They are a green product and offer a wide selection of designs to suit every home. This countertop option is also virtually maintenance-free which is a big advantage. Even if you’re only wanting to freshen up your kitchen with new counters and backsplash we would be happy to help you with that. 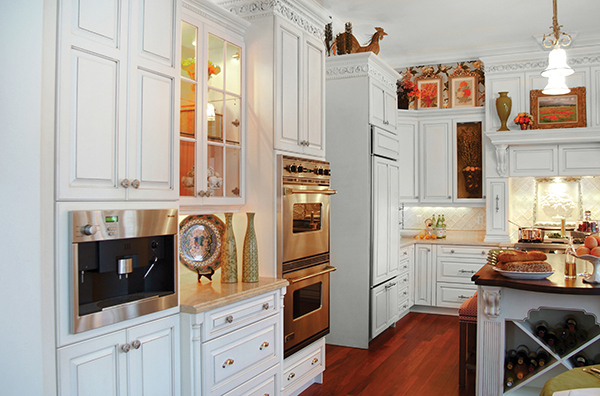 We pride ourselves on helping our clients choose the right design elements for their kitchen. We personally sort through all of the colours, finishes, door styles and hardware and narrow the choices down to a few options that will work best for them based on what they’ve expressed as their specific needs, desires and style. We then bring those options into their home which eliminates our client from being overwhelmed while also allowing them to see the best options available in their space. 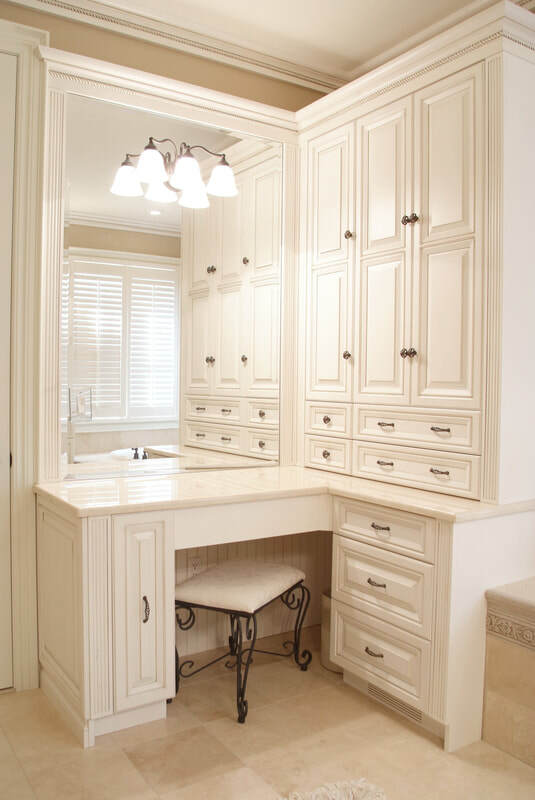 We do this same process for countertops and backsplash choices. Our clients always mention one of their favourite things about working with us, is that they didn’t have to leave the comfort of their home to make any decision. We look forward to designing your dream kitchen with you!